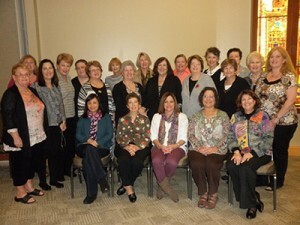 January’s Florida Leadership Training Institute continued the Women’s League tradition of meaningful and effective training. Congratulations to all the participants and to Chair Mimi Pollack and Lead Trainer Margie Miller. Thank you, Anne Schimberg, Florida Region President. Nancy Faracchio, Congregation Ohev Shalom Sisterhood President, and Razel Kessler, Women’s League Administrator.